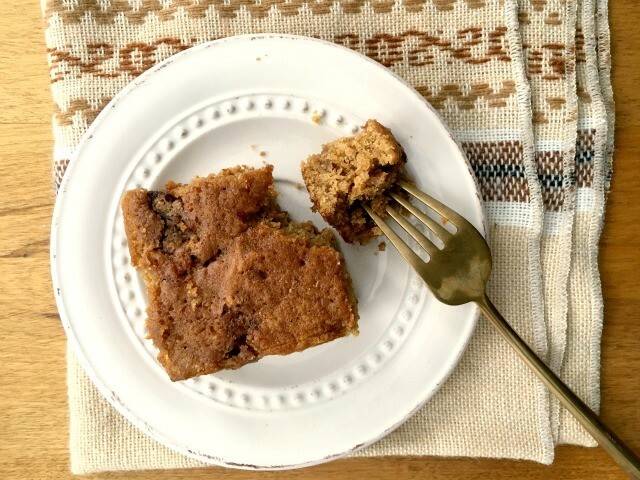 Oatmeal Brown Sugar Coffee Cake is an old-fashioned coffee cake with wholesome substance. I buy rolled oats in 8 kg bags. We eat porridge pretty much every morning so buying is bulk is the simplest way to keep the cupboard stocked. I love how porridge is warming and sticks to your ribs, but there’s also something about the texture that is especially appealing. When I was growing up my dad loved cream of wheat but I always preferred breakfast food with more oomph. So porridge it is. 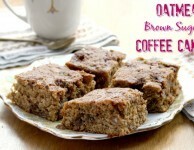 It’s my love of oatmeal that drew me to this recipe in the first place. 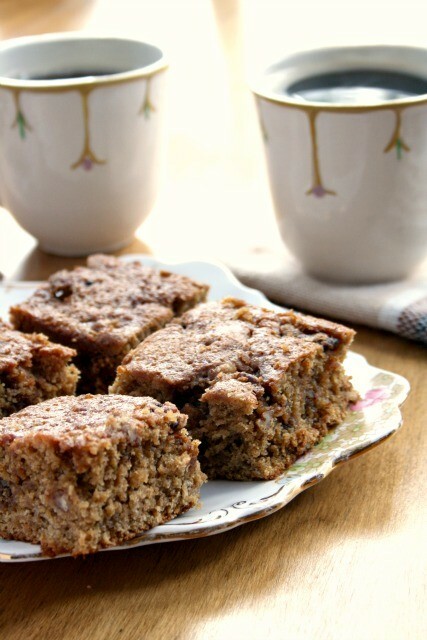 In fact, may be I should have called this recipe porridge cake. 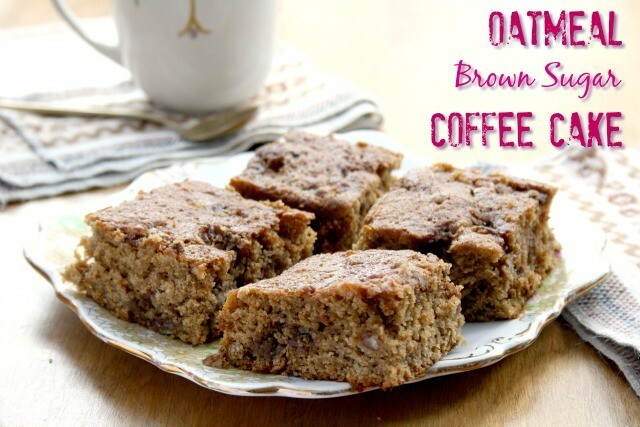 With its comforting texture and feeling of substance, this is a coffee cake that stays with you. It’s earthy and wholesome. Pour boiling water over the oats and set them aside to cool. Cream butter and sugars until light. Beat in molasses then eggs, one at a time. Stir in vanilla, cinnamon and then moist oatmeal. Whisk together flour, baking powder, baking soda and salt. Using a wooden spoon or rubber scraper, stir dry ingredients into wet. Combine well but don’t over mix. Mix together streusel ingredients with a fork or pastry blender. Scrape batter into prepared pan and sprinkle over the streusel. Bake for about 35 minutes, until a tester comes out with just a few moist crumbs attached. such a beautiful recipe. I love your recipes, you have such an enviable job! 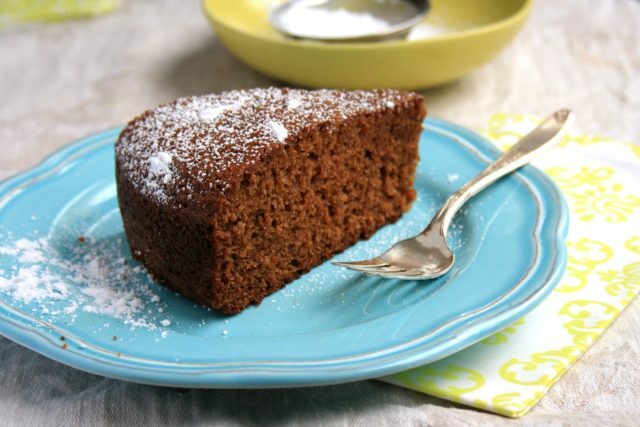 I adore molasses, and baking and you could not do better than what you do. Amazing and delicious dishes.